National / International: Mexico, migration filter? In mid-September, several rumors surfaced that the government of Enrique Peña Nieto would be considering signing a commitment with the United States under which Mexico would accept a deportation quota of undocumented non-Mexican immigrants, and a number of asylum seekers seeking refuge in U.S. This would be under the statutes of the bilateral cooperation of the Mérida Initiative signed with the government of President Felipe Calderón to combat drug trafficking and organized crime on a bilateral basis; and as part of the Zero Tolerance policy for undocumented immigration of the Donald Trump government. The New York Times detailed that the 20 million dollars allocated for this would cover the costs of the deportation from Mexico to the countries of origin of some 17,000 undocumented immigrants in order to prevent the flow of migrants in the southern border of the United States. Days later, it was reported that due to pressure from the transition team of the president-elect, Andrés Manuel López Obrador, the government of Enrique Peña Nieto rejected these 20 million dollars. Given the rumors, civil organizations in favor of the rights of migrants and refugees, expressed their outright rejection of a plan of this nature and more broadly to bilateral negotiations between the United States and Mexico on a safe Third-Country Agreement in matters of asylum: “these measures represent a threat to the right of each person to seek asylum in the country that he/she considers to be safe, in addition to a renunciation by both governments of their international obligations to offer access to international protection for any person“. They pointed out that “Mexico is far from being a safe country for migrants and refugees, and forcing people to seek protection in Mexico would exceed the country’s asylum system, which is already weak. International and Mexican organizations have documented how migrants and refugees traveling through Mexico are frequent victims of crimes such as kidnapping, extortion, robbery and sexual violence, committed by criminal organizations, but also by Mexican migration agents and police. ” They recommended that “US assistance to Mexico should not be aimed at increasing arrests and deportations, and should not support immigration and security authorities that lack mechanisms to make their agents responsible for the abuses committed against migrants. In addition, the United States should not outsource the application of its immigration laws to Mexico. Instead, the United States should support the efforts of UNHCR and civil organizations in strengthening protection mechanisms in the region. “ They concluded that “both countries must comply with their international and moral obligations towards migrants and refugees, respecting due process, the family unity and the right to seek protection in the country migrants consider safe”. 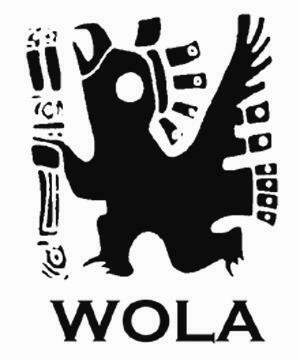 The Washington Office on Latin America (WOLA), together with another seven human-rights Mexican and U.S. organizations, has requested that the U.S. government arrest the resources earmarked for the Mérida Initiative, due to the fact that the Mexican State has not observed its requirements in terms of human rights. In 008, when the Initiative began, the U.S. Congress made the resources destined for Mexican security forces conditional on significant advances in the realm of human rights. “To detain these resources would signify a very clear message that the U.S. condemns the grave human-rights violations seen in Mexico,” explained Maureen Meyer, the primary coordinator of WOLA in Mexico. In their report, the organizations indicated that, according to their investigations and data, in addition to the findings made by the United Nations Special Rapporteur on torture and other cruel, inhumane, and degrading treatment, Mexico has not progressed in this sense. “In general, to provide Mexican security forces with more training and equipment while corruption and abuses go on unchecked does not contribute to security in the country, but instead continues exacerbating an already grave human-rights situation,” notes the memo. On 10 May, press reports announced that the U.S. government was considering delaying 15% of the funds for the Mérida Initiative (that is, approximately $18 million) to make them conditional to the human-rights situation in Mexico. It should be remembered that the U.S. government received $26 million in aid to Mexico in 2010, recommending that the autonomy of the National Commission on Human Rights (CNDH) be expanded, giving it constitutional powers regarding the observation of international human-rights law and an end to military tribunals. 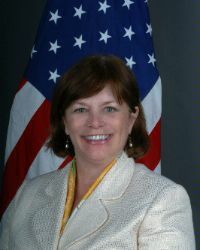 On 10 May, Kathleen Fitzpatrick, Adjunct Subsecretary of State, announced that the Obama administration “still has not made a decision” on this question and that it will not do so until it has undertaken a more complete analysis regarding the progress made in Mexico in terms of human rights. Regarding military tribunals, she noted that “if the military has ceded jurisdiction in some cases, the process still has not been included in the Constitution, and the military tribunals have continued reclaiming their jurisdiction in some cases involving civilians.” Fitzpatrick also stressed the case of attacks and murders of journalists in Mexico, as well as on human-rights defenders and women. In this context, different human-rights organizations, Mexican and U.S., insisted on the necessity of delaying the distribution of these funds until the Mexican government demonstrate significant advances in these terms. “We believe that Mexico continues without having met its obligations,” claimed Maureen Meyer, representative of the Washington Office for Latin America (WOLA), reason for which she recommended the Obama administration to sanction the Mexican government by delaying these funds for the Mérida Initiative, given the rights-violations committed by security forces. On 10 November, the Washington Office for Latin Americans Affairs (WOLA) published a report entitled “An instructive event: the lessons of Plan Colombia for US foreign policy toward Mexico and other countries.” In 2007, Mexico and the US agreed on an aid package of $1.4 billion to combat drug-trafficking and organized crime in observation of the so-called “Mérida Initiative.” To date, analysts have compared it with the Plan Colombia, signed in 2000. Comparing these two agreements, WOLA came to assert the following in its report: “Almost four years after the launch of the Mérida Initiative, significant improvements in security terms have not been had. In place of arresting violence, the capture or murder of dozens of organized crime capos has brought this about.” It affirms that results to improve public security have been lacking, and that instead human-rights violations have increased. It should be recalled that Mexico has received more than $612 million from the Mérida Initiative, and there is being contemplated another $500 million from the U.S. government before the close of 2011. 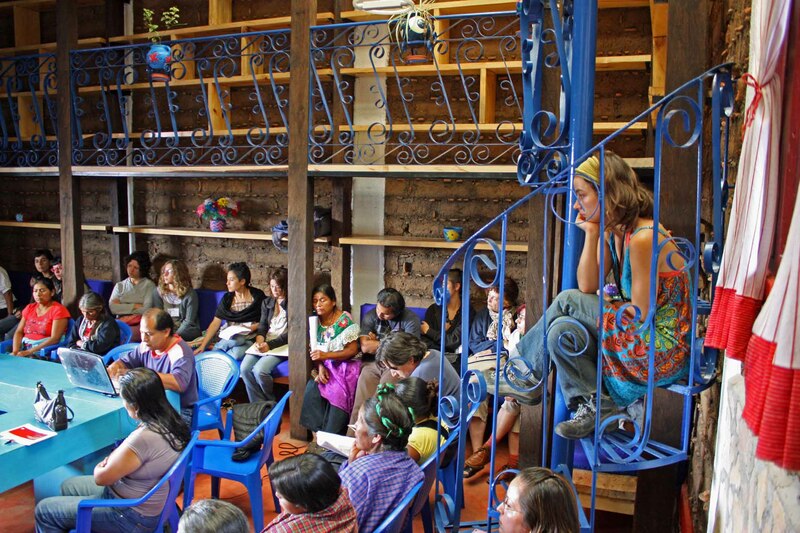 On October 2nd and 3rd, various organizations, among them SIPAZ, convened a forum on Women’s Perspectives on Militarization, which was held at CIDECI-Unitierra, in the city of San Cristóbal de las Casas. About 160 women from Guatemala, Honduras, Chihuahua, Mexico City, Guerrero, and elsewhere participated along with those from the communities of Chiapas. Between lectures and table discussions, the women shared their ideas, sorrow, bravery, resistance, struggles, complaints, and injustices that their organizations and communities are enduring. “The increase, in the last decade, of militarization, para-militarization, and drug-militarization in Latin America has worsened violations of human rights, the most recent examples of which being the coup in Honduras and the installation of seven United States military bases in Colombia which signify, on the one hand, the weakening development of the fledgling democracies in Latin America, and, on the other, the strengthening of militarization as a means of control through the use of weapons, protests and proposals of social improvement through the neoliberal capitalist system in which poverty, corruption and violence are its principal expressions. On May 6, hundreds of Mexican organizations of the civil society sent a letter to members of the US Senate urging them to reconsider the military financing included in the Merida Initiative. This week, the US Congress will consider increasing aid to Mexican military and public security institutions as part of this Initiative. The letter underscored that instead of continuing the militarization and the war on drugs, the governments of the United States and Mexico should focus on improving drug treatment programs, reducing the flow of arms to Mexico, deal with structural causes like poverty, inequality, the lack of educational opportunities, and in addition should work to strengthen civil institutions and improve the justice system.